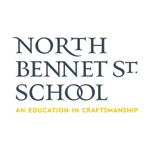 Stevens Strategy successfully managed the search for the chief executive officer of North Bennet Street School, a heralded conservatory of craftsmanship, with programs devoted to preparing students for careers in traditional trades that use hand skills. Stevens Strategy sourced the candidates rapidly and focused the search to a finite group efficiently. They managed a complex process successfully and delivered a high quality of service. We would hire them again in search and strategic planning because they can deliver within expectations.